After much online debate, the British artist will retain her headline spot at the festival. When it was announced on June 15 that M.I.A. would headline the inaugural London edition of Afropunk festival (an annual celebration of alternative black culture held in Brooklyn since 2005, and Paris and Atlanta since 2015), the internet’s response was mixed. While many were excited to hear that Afropunk was coming to London, and praised her billing, a section of the festival’s audience voiced hurt and anger. This reaction was understandable, given the festival’s decision to book a non-black artist as the headline act. Afropunk’s original criteria for bands, according to filmmaker James Spooner (whose 2003 documentary Afro-Punk was the catalyst for the festival), was simply to be good and to have a black singer, with a focus on representing black punk and alternative culture. 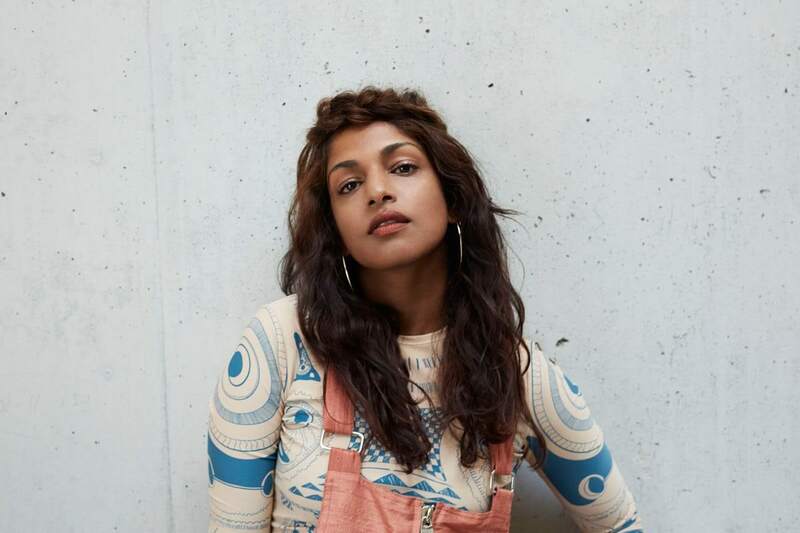 After the announcement, hundreds of commenters on Twitter flooded both Afropunk and M.I.A.’s mentions, attesting that it felt like, in the words of one Reddit user, “a slap in the face to black people everywhere.” On June 20, M.I.A. tweeted that she was pulling out of the festival, though Afropunk have since confirmed that she will still perform, releasing a statement on June 23 expressing solidarity with the artist and other marginalized communities. A rep for M.I.A. told The FADER that there was no additional comment at this time. Several publications have cited M.I.A.’s comments about the Black Lives Matter movement as the cause of the online uproar. In an interview with the U.K.’s Evening Standard back in April, she said: “Is Beyoncé or Kendrick Lamar going to say Muslim Lives Matter? Or Syrian Lives Matter? Or this kid in Pakistan matters? 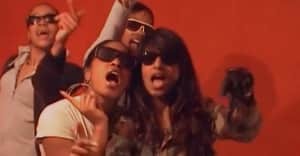 That’s a more interesting question.” There are two problems here: M.I.A.’s conflation of Black Lives Matter with the racist violence experienced by people of color in general, and her hypocritical criticism of populist activism (her own protest anthem, “Borders,” offers no critique more complicated than What’s up with that? with regard to “politics”, “identities,” and “broke people”). But M.I.A.’s views on BLM is only one of the issues that we should consider. Since Afropunk announced M.I.A. as headliner, Jamaican-British filmmaker Cecile Emeke critiqued the decision in a stream of tweets over the course of four days in June 2016. Emeke, whose documentary web series Strolling tells “the scattered stories of the African diaspora,” galvanized a strain of black British Twitter, calling out both Afropunk and M.I.A., and encouraging her followers to do the same. Emeke expressed her frustration at the festival’s decision to book a South Asian artist as headliner (albeit one who is from London), arguing that the festival had not fulfilled its responsibility to platform up-and-coming black British artists. Emeke also criticized M.I.A. — who is Sri Lankan — for identifying as “politically black” (an outdated label that was used in the late 1970s and early 1980s to organize anti-racist action in Britain across both African and Asian-descended communities). 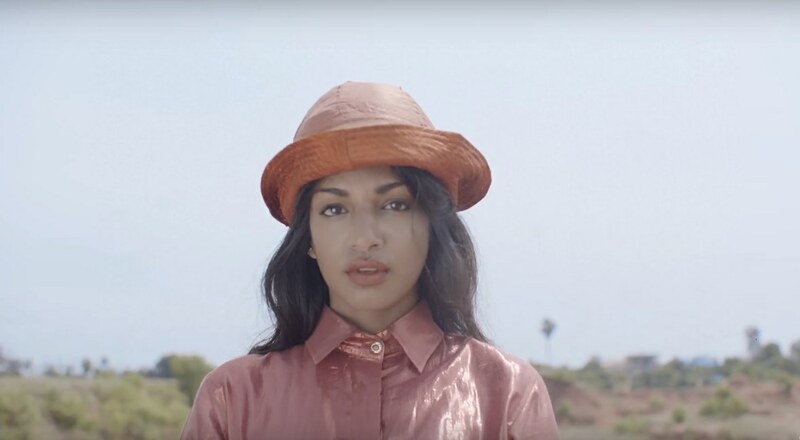 As well as sharing their disappointment with Afropunk for not booking a black headliner, several of M.I.A.’s critics have offered solutions — as well as their theories on why this problem occurred in the first place. Emeke urged Afropunk to replace M.I.A. with independent U.K. rap artist Little Simz, whose anti-establishment ethos is more DIY, and arguably more punk; others suggested their own alternative line-ups. In a now-deleted tweet, M.I.A. wrote: “To pull Afropunk festival to a statement ‘black people should play black festivals’ denies the only power music had in the [world] to unite peeps.” Afropunk claim that their booking decisions were motivated by a deliberate attempt to “better explain and understand how the black American experience and the American construct of race, intersects with rampant anti-Muslim rhetoric, and the crushing refugee crisis [M.I.A.] was bringing to light.” However, this debacle has raised a bigger, more difficult question: just where exactly is the line between practicing solidarity between people of color, and protecting distinct cultural spaces and movements, like Afropunk? An online comment that M.I.A. screenshotted and posted on Twitter following the incident read, “Forcing the world to look at issues of race and blackness through the hegemony of the American Lense is unwise. The struggle against injustice, racism and white supremacy is global.” Ultimately, Afropunk have decided that this is their bottom line. In a New York Times article about what Black Lives Matter means in Britain, professor Paul Gilroy described blackness as ambiguous, “generic,” and “often created from the fantasy version of African-American culture that’s been exported to the rest of the world.” Blackness does not (and should not) exist as a monolith across the world. However, broadening the definition of blackness to encompass, as Afropunk’s statement reads, “the experiences of black Brits, immigrants and refugees in the UK, who are continuously erased,” runs the risk of being its own kind of erasure, and alienating the Afropunk fans who hold the festival most dear.